BOND has a team that works hard to balance family and career, and it is an honor to introduce a sponsor that advocates for those same values with their own team. How did Tekhni Wovens begin? As a babywearing mom of 3 (soon to be 4) with a background in art and design, I saw the need for a company that was willing to do things differently. In 2013 I started Tekhni Woven Sling Studio from my home, sourcing high quality fabrics from the United States and around the world. I wanted to create beautiful and functional pieces that would be affordable, innovative, available and attainable, giving everyone the opportunity to bond with their baby in style. The introduction of the green fiber, Repreve®, was particularly exciting for me. Repreve had been used by many well-known companies, but never before in the world of babywearing. I was able to take an environmentally-conscious yarn and use it to make wraps in the United States— carriers that provide top-notch wrapping qualities coupled with the temperature-regulating breathability of a recycled fiber. Also close to my heart was the introduction of our budget lines, ensuring that accessibility remained a top priority as the company grew. Three short years later, our team has grown to include both in-house and remotely located employees. I’m proud to say that Tekhni is woman-owned, and nearly all of our employees are female. Our diverse team functions as a family, with a bond that runs deep. These women care for each other equally as much as they care for the company. I prioritize a work-life balance, ensuring that all employees are able to meet the demands of a family while pursuing a career. Together, we are continually looking for ways to bring the best to our customers. Our customers, in return, are passionate and excited. We take the time to get to know customers, and they feel like an integral part of our family culture. As a CBWS graduate, I highly value education, research, and support. As a retailer, I highly value accessible products that allow caregivers and children to bond. 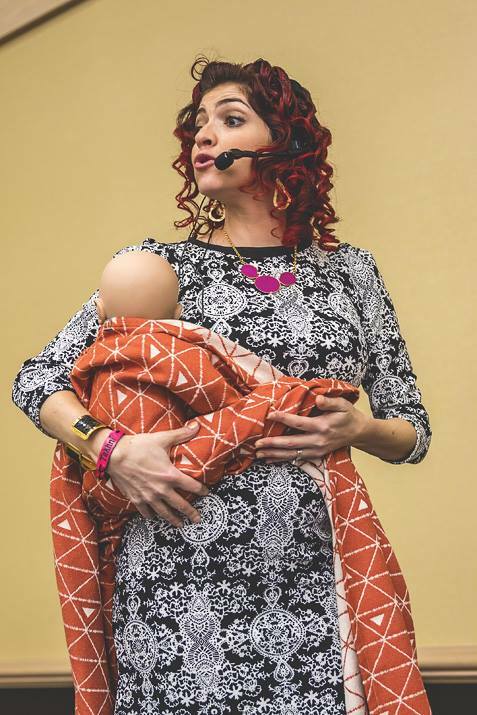 The BOND conference is the best of both of these worlds, reaching out to educators and parents alike to show both the how and why of babywearing. When the opportunity arose, there was no question that Tekhni would support such an amazing mission.